Special counsel Robert Mueller’s report on the Trump-Russia affair is finally public – in redacted form, anyway – and it reveals how President Donald Trump tried to seize control of the investigation of obstruction of justice. It’s been more than three weeks since Attorney-General William Barr released a four-page summary of Mr. Mueller’s nearly 400-page-long report. At a news conference Thursday, Mr. Barr gave his interpretation of Mr. Mueller’s findings before sending a redacted version of the full report to Congress. Mr. Barr stressed that Russian operatives “did not have the co-operation” of Donald Trump or his campaign when they tried to meddle in the 2016 U.S. election. Democrat leaders have accused Mr. Barr of trying to shield Mr. Trump, who appointed him, by spinning the report’s findings before they come out. Now, they want to hear from Mr. Mueller himself. The chairman of the Democrat-controlled House judiciary committee wrote to Mr. Mueller on Thursday asking if he can testify before Congress by May 23. 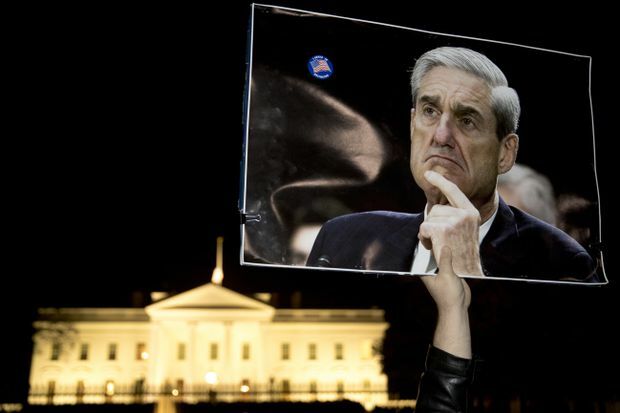 Nov. 8, 2018: A protester holds a sign of special counsel Robert Mueller outside the White House on a day of nationwide demonstrations to protect his Trump-Russia probe from political interference. The full Mueller report: Special counsel Robert Mueller’s final word on the Trump-Russia affair was the product of 22 months of inquiries about whether U.S. President Donald Trump’s campaign co-operated with Moscow in its efforts to influence the U.S. election’s outcome three years ago. Mr. Mueller handed in his report on March 22 to William Barr, the U.S. Attorney-General. Its full title is “Report on the Investigation into Russian Interference in the 2016 Presidential Election," and consists of two volumes: One on the Russian election interference, the other on obstruction of justice. Combined, the two volumes are 448 pages long. The redacted report: Mr. Barr released a version of the report to Congress on April 18, riddled with redactions from Justice Department officials. The redactions are marked to explain the rationale for cutting them out: Some parts involve ongoing cases, while others reveal the findings of a grand jury, a panel of citizens that decides whether someone can be charged with a federal crime. Grand juries hear evidence from prosecutors, but it’s not the same as a regular trial before a judge (that comes later, if the indictment is allowed). Proceedings by U.S. grand juries are kept very secret so that reluctant witnesses can be encouraged to speak before them. The less redacted report: Mr. Barr says a second version will be shared with top House and Senate lawmakers authorized to view classified information. This one will still black out passages related to the grand jury, but remove all other redactions. 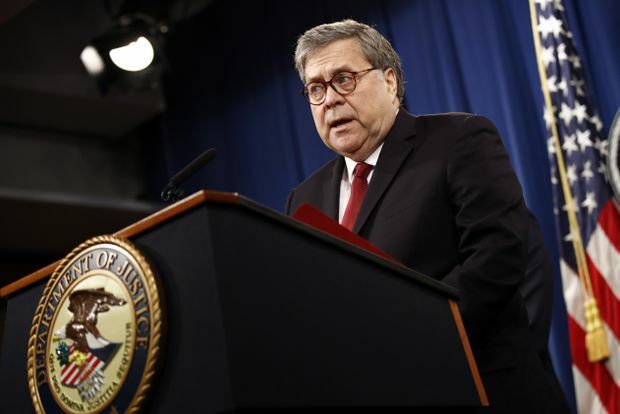 Attorney General William Barr speaks about the release of the redacted Mueller report in Washington on April 18, 2019. The Barr summary: After taking a weekend to review Mr. Mueller’s report, Mr. Barr sent Congress a letter on March 24 summarizing its findings in four pages, which you can read in full below. It includes only two direct quotes from the Mueller report, both of which are discussed in detail in the next section of this explainer. Mr. Barr said he might release more of the report later, but for now, Democrats were skeptical of his summary because it didn’t directly cite the evidence Mr. Mueller cited in his findings. The Mueller indictments: During Mr. Mueller’s investigation, politicians and the public have gotten glimpses of his findings through his indictments of several of the President’s ex-associates, including Mr. Trump’s campaign chairman, Paul Manafort; his lawyer, Michael Cohen; his national security adviser, Michael Flynn; and a foreign-policy adviser, George Papadopoulos. Mr. Mueller also laid conspiracy charges against staff from the Russian intelligence agency and a St. Petersburg-based company, widely described as a “troll farm,” for alleged cyber-meddling in the election and the hacking of Democratic Party servers. In all, 34 people have been indicted (here’s a primer on who’s been charged, and a timeline of the investigation so far) but none of the charges relate directly to collusion between the Russians and the Trump campaign. Mr. Mueller has not recommended any more indictments, and Mr. Barr says there are no sealed indictments waiting to be released. 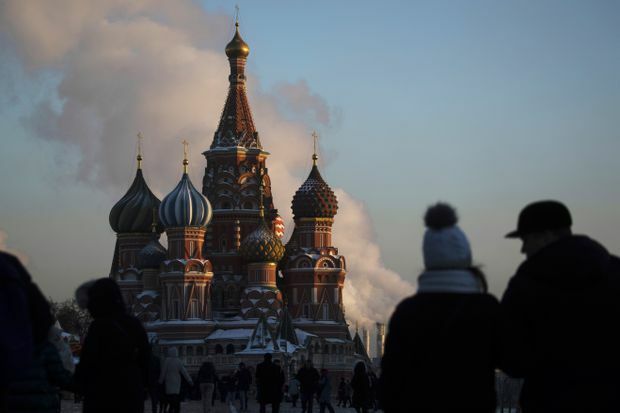 In Moscow, people walk in Red Square on a cold day with St. Basil's Cathedral in the background. As set forth in detail in this report, the Special Counsel's investigation established that Russia interfered in the 2016 presidential election principally through two operations. First, a Russian entity carried out a social media campaign that favored presidential candidate Donald J. Trump and disparaged presidential candidate Hillary Clinton. Second, a Russian intelligence service conducted computer-intrusion operations against entities, employees, and volunteers working on the Clinton Campaign and then released stolen documents. The investigation also identified numerous links between the Russian government and the Trump Campaign. Although the investigation established that the Russian government perceived it would benefit from a Trump presidency and worked to secure that outcome, and that the Campaign expected it would benefit electorally from information stolen and released through Russian efforts, the investigation did not establish that members of the Trump Campaign conspired or coordinated with the Russian government in its election interference activities. Mr. Mueller’s report lays out two ways in which Russia tried to meddle in the 2016 election: Social-media disinformation by the Internet Research Agency, and hacking operations to steal documents and e-mails from the Clinton campaign and leak them through WikiLeaks. The Russians offered to share this information with the Trump campaign, and their contacts with Trump associates have been widely reported in U.S. media and testimony to Congress over several months. Mr. Barr acknowledges “multiple offers from Russian-affiliated individuals to assist the Trump campaign,” but says that Mueller didn’t find that the campaign “conspired or coordinated” with Moscow. June 8, 2017: Former FBI director James Comey is sworn in before testifying to a Senate intelligence committee hearing. ... while this report does not conclude that the President committed a crime, it also does not exonerate him. Because we determined not to make a traditional prosecutorial judgment, we did not draw ultimate conclusions about the President's conduct. The evidence we obtained about the President's actions and intent presents difficult issues that would need to be resolved if we were making a traditional prosecutorial judgment. At the same time, if we had confidence after a thorough investigation of the facts that the President clearly did not commit obstruction of justice, we would so state. 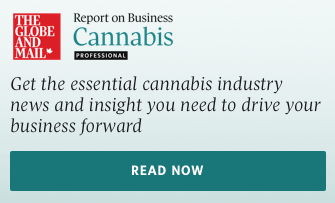 Based on the facts and the applicable legal standards, we are unable to reach that judgment. Accordingly, while this report does not conclude that the President committed a crime, it also does not exonerate him. Some of Mr. Trump’s associates, including Mr. Papadopoulos and Mr. Flynn, have plead guilty to lying to the Federal Bureau of Investigation or Congress about their contacts with Russians during the campaign. But the big question for Mr. Mueller was whether Mr. Trump knew they would lie or personally directed them to do so. Also at issue was whether his 2017 firing of James Comey, then director of the FBI, could be construed as obstruction. President Trump reacted negatively to the Special Counsel's appointment. He told advisors that it was the end of his presidency, sought to have Attorney General Jefferson (Jeff) Sessions unrecuse from the Russia investigation and to have the Special Counsel removed, and engaged in efforts to curtail the Special Counsel's investigation and prevent the disclosure of evidence to it, including through public and private contacts with potential witnesses. But ultimately, Mr. Mueller concluded that he wasn’t confident to say that obstruction occurred, but said it was still possible for Congress to establish that. The question of whether to lay obstruction charges then fell to Mr. Barr and his deputy, Rod Rosenstein, who concluded that there was not enough evidence to establish that Mr. Trump – who was never questioned directly during the Mueller probe – obstructed justice. 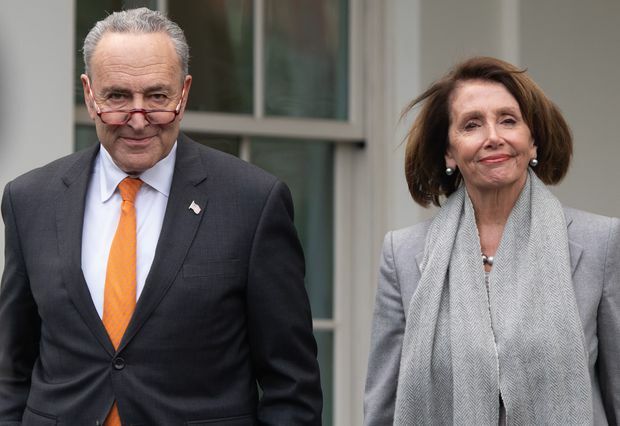 Jan. 9, 2019 Senate Democratic Leader Chuck Schumer and House Speaker Nancy Pelosi arrive to speak to the media after a meeting with Mr. Trump in Washington. After Mr. Barr’s summary came out in March, Democratic lawmakers spent weeks demanding a full look at Mueller’s findings and dismissing the summary as incomplete, at best, and biased, at worst. At one point, the Democrat-controlled House judiciary committee authorized the use of subpoenas to compel Mr. Barr or other Justice Department officials to testify about Mr. Mueller’s findings, but using them would have involved a potentially messy legal fight with the White House. For now, the judiciary committee’s chairman, Jerrold Nadler, is urging Mr. Mueller to testify about his findings no later than May 23. On Thursday, after the report’s release, the President said he was “having a good day” and renewed calls for an investigation of how the inquiry came about in the first place. “This should never happen to another president again, this hoax,” he said at a White House event for wounded veterans.